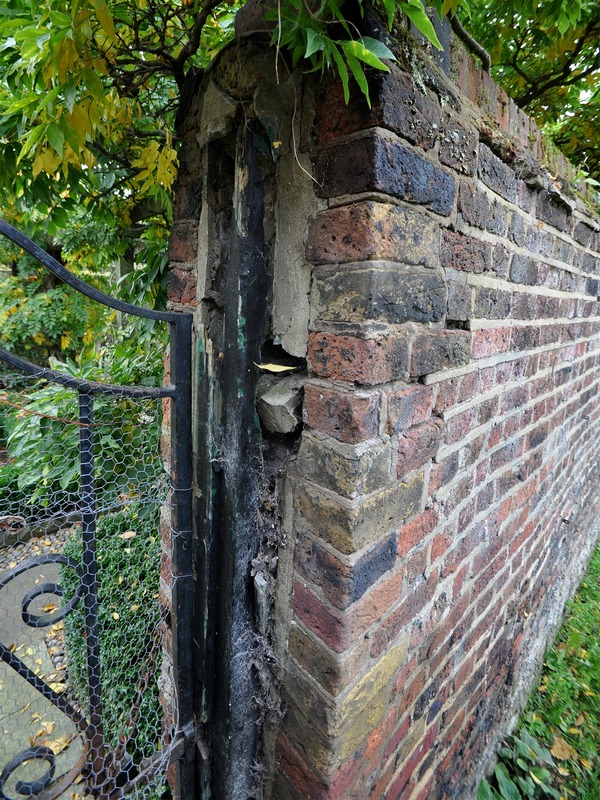 Works to the listed wall were required to respond to decades worth of neglect and botched repairs. 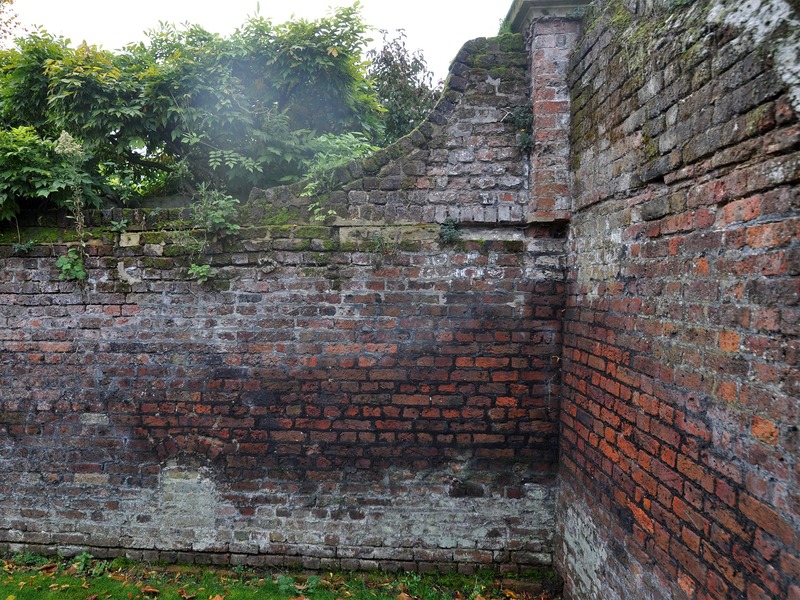 The wall had been left to become infested with plant roots which were causing the deterioration of the wall from the inside out, pushing the bricks apart. 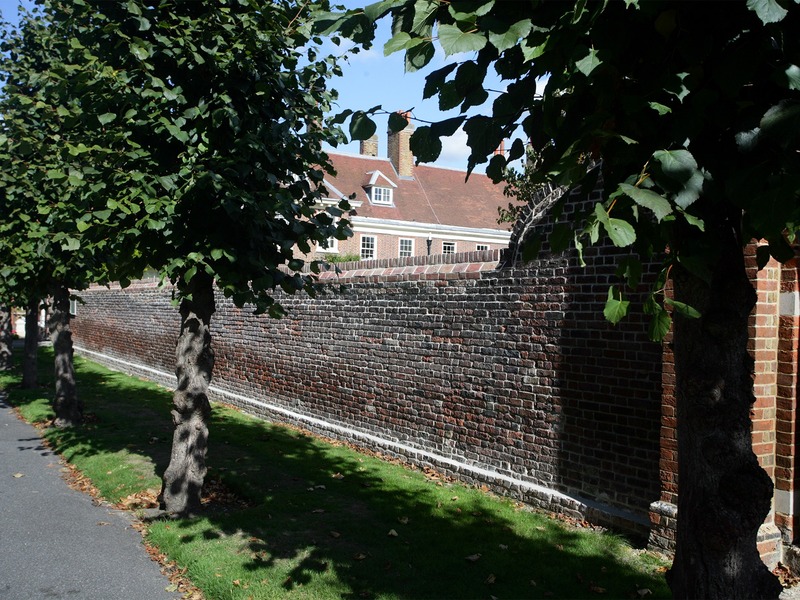 Historic repairs to the wall had been made using concrete mortar which meant the 320 year old bricks weren’t able to breath, trapping moisture into them so that many had blown. 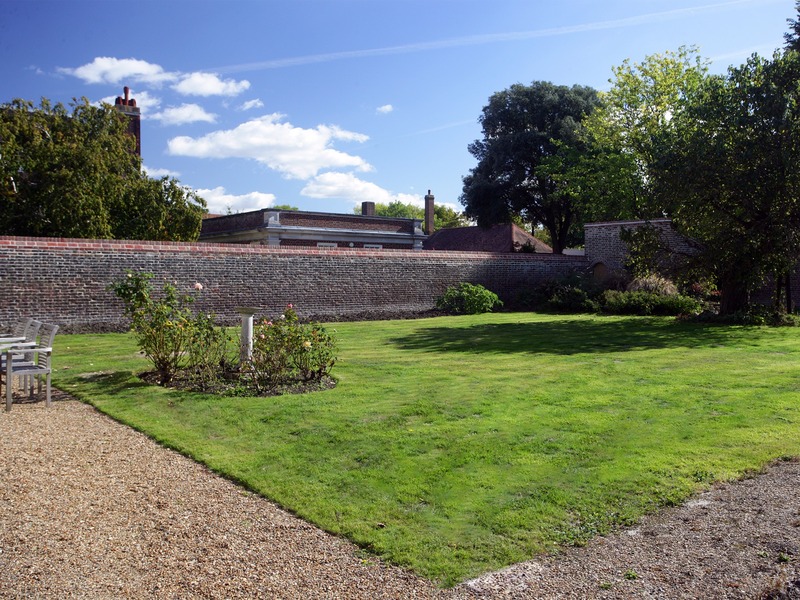 The south wall was listing heavily into the garden, due to an opening created for a gate into the memorial garden beyond. 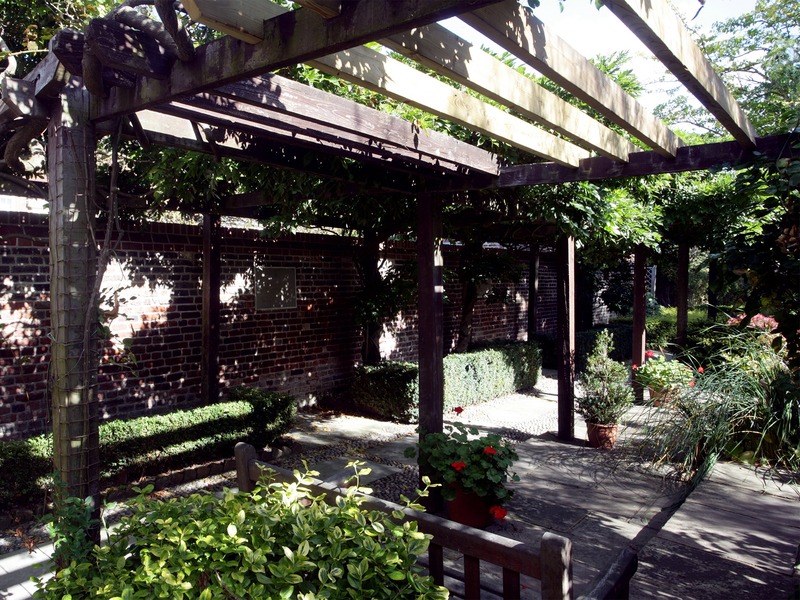 The refurbishment followed a ‘light touch’ approach that was prescribed by E2. Consultation with Dr Gerard Lynch for analysis of the bricks and mortar resulted in the identification of the original lime mortar used in the wall so that this could be replicated, this and the prescribed approach enabled the works to comply with what had been agreed with the local conservation officer. 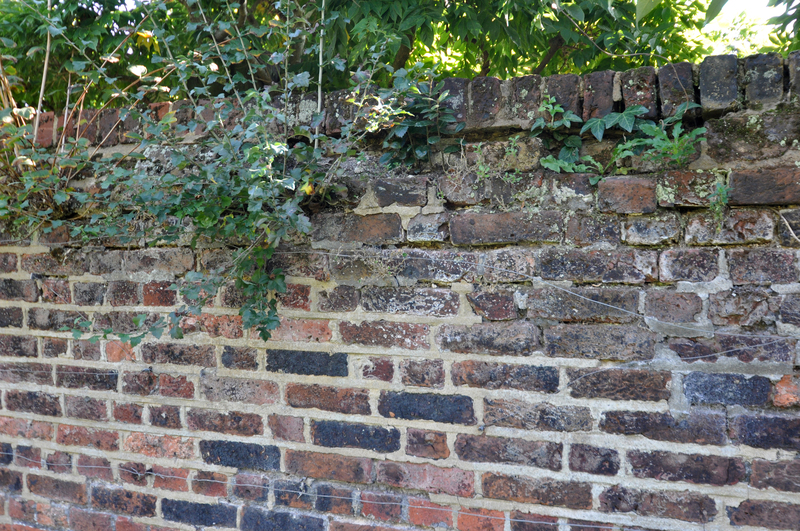 The top four courses of the wall below the brick on edge and the chamfered detail brick were removed. 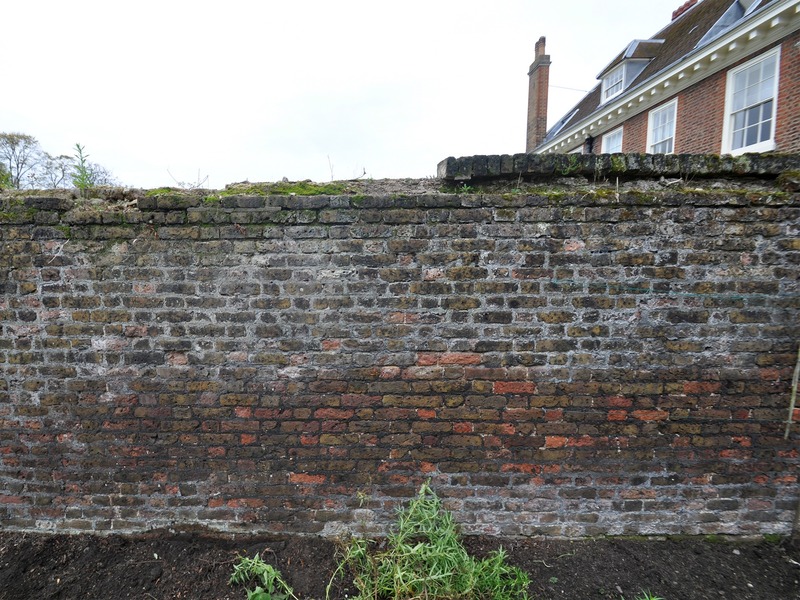 The bricks were set aside and cleaned for reuse in the wall. 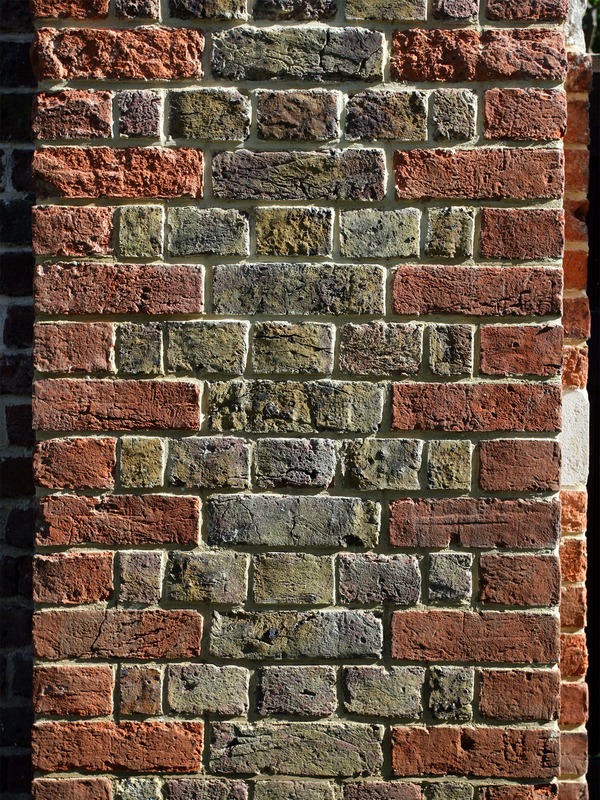 A new brick was sourced to match the existing, following assistance and the skillful eye of Charlie Stewart, this was then used to consolidate the structure of the wall and help weatherproof it, using a slightly stronger mortar for the topmost courses to be rebuilt. Pointing samples were provided by Charlie and an agreement was made between Charlie and E2 to repoint to a slightly more recessed profile in order to allow the irregularity and character of the historic bricks to come to the fore. 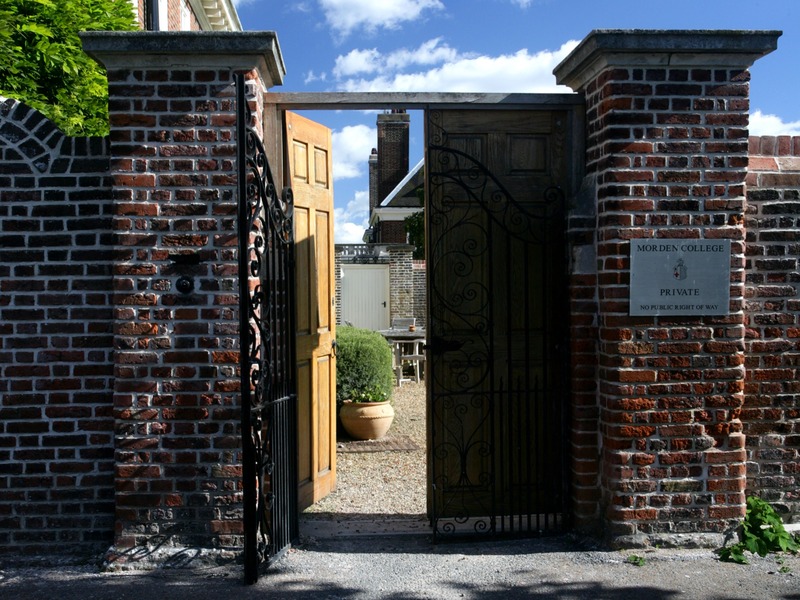 Rebuilding of the south wall, which was slightly more extensive, resulted in a natural and noticeable correction of the listing to the wall at the gate opening. 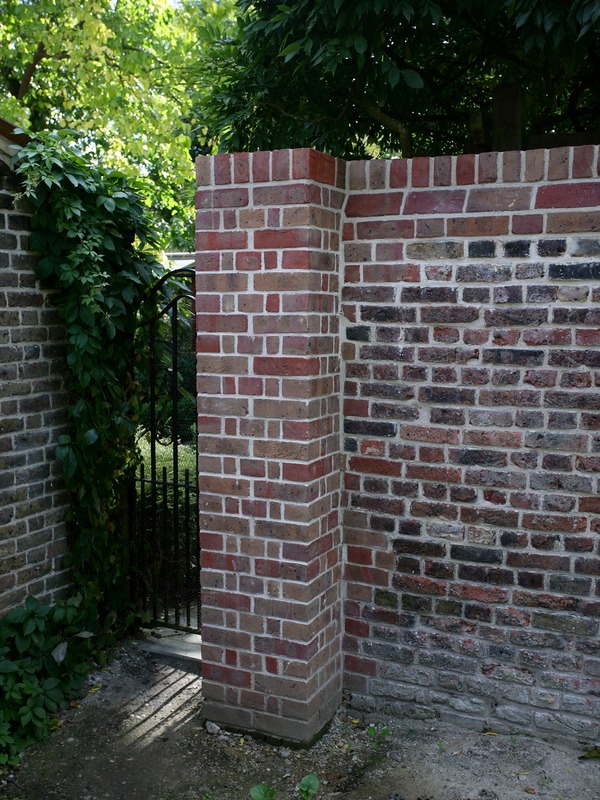 This wall was further consolidated by a new brick pier, constructed in the new brick, to stabilise the wall at the opening. 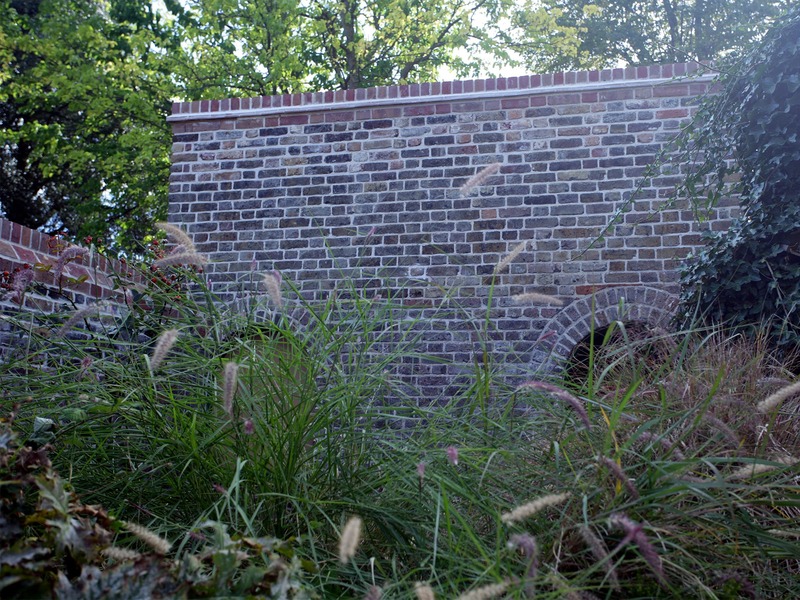 During the dig-out to the new foundation for the pier, the footings of the wall were revealed to show 8 more courses of brick below ground, highly unusual for a garden wall, evidence of the high quality and careful workmanship undertaken by Sir Christoper Wren’s favoured brick mason Edward Strong in the building of the campus. 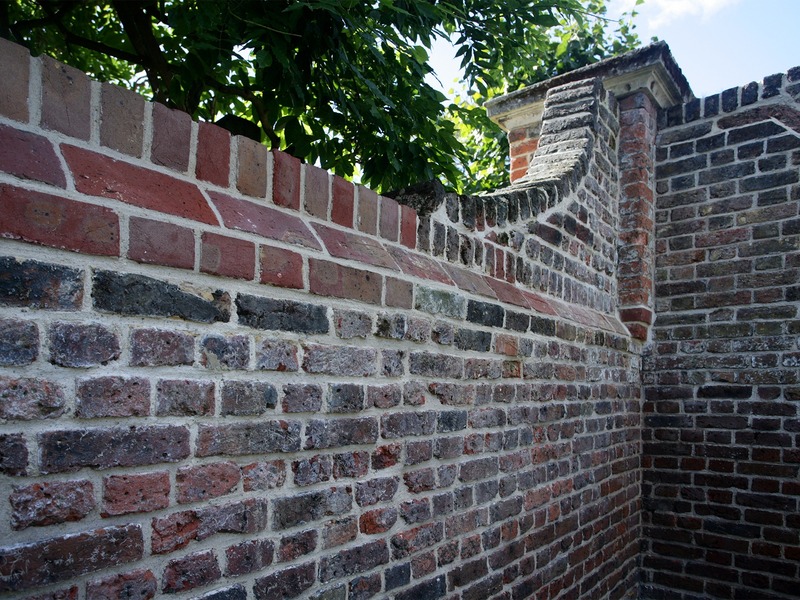 No doubt the wall still stands today primarily as a result of its original construction, despite the unsympathetic repairs and alterations to it over the last century. Below are photos of the walls prior to our intervention. Get in touch and we will contact you for a free appraisal.